New Marketing Mastery by David Meerman Scott has a rating of 5.0 stars based on 1 reviews. How do you add value to your marketing? Which social media channels are worth investing time and money into? How can you generate positive media coverage – at no cost? This program answers all those questions and more with easy to follow strategies that will help you reinvent your marketing to attract – and keep – your clients. If you want the ultimate edge over your competition, get it with New Marketing Mastery. "David is informative, entertaining and inspiring! No one knows more about new ways to reach buyers. His strategies reinvent the way entrepreneurs engage the marketplace and grow business." How do you capture the limited attention of your clients through marketing when they are constantly being bombarded with advertising? In our always-on, web-driven world, scale and media buying power are no longer a decisive advantage – consumers don’t want to be interrupted and told what to buy. Today, your potential buyers are doing their own research – it’s speed and agility that will give you the edge over your competitors. 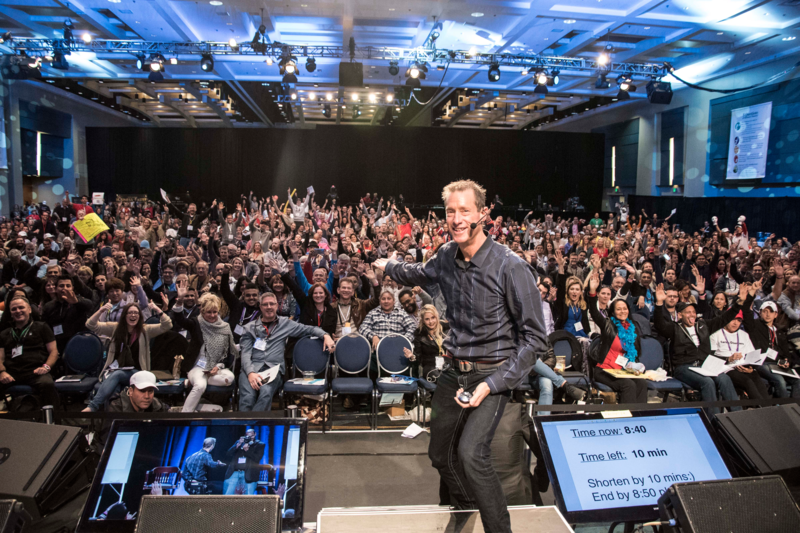 Internationally acclaimed marketing master and Business Mastery Speaker for 3 years, David Meerman Scott, cuts through the confusion and breaks down how any business or entrepreneur can earn attention, rather than buying it, and instantly reach their audience directly. Developed in collaboration with Tony Robbins for Business Mastery attendees, this program has helped thousands of entrepreneurs seize the initiative, open new channels, grow their brand and grow their business – often by millions of dollars. This isn’t about slapping social media onto old strategies – it’s about reinventing the way your business engages in the marketplace. The strategies taught in this program will teach you how to increase sales, exert influence, build awareness and command premium prices using speed as a strategic weapon. While past marketing methods relied on buying lists or essentially begging consumers for attention, the marketing strategies in this program will teach you how you can earn attention by creating intriguing information that buyers want to consume – for free. Without effective marketing, your business will never attract the raving fans you need to thrive. 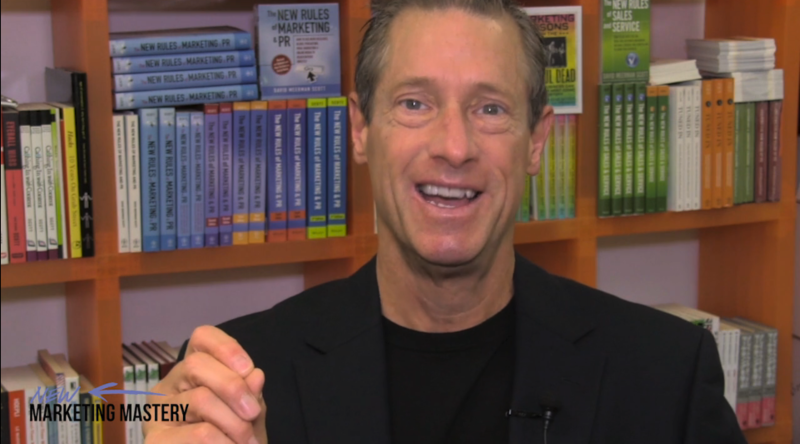 Align your strategy with the way people buy with David Meerman Scott’s New Marketing Mastery. Your marketing plan means nothing if you don’t know your audience. Learn how to create buyer personas that match your organization’s short and long-term goals. No matter how the world changes, content will always be king. Create content across multiple channels that will engage your audience and drive them to buy. Learn the Golden Rule of Social Networking and how you can use different sites to enhance your marketing and gain popularity. Discover what Newsjacking is, a concept pioneered by David, and how, when used correctly, it can reach your buyers directly while generating tons of positive media coverage. Now that you’ve mastered the new world of marketing, you have to implement. Create a step-by-step action plan tailored to your business for immediate growth and lasting success.